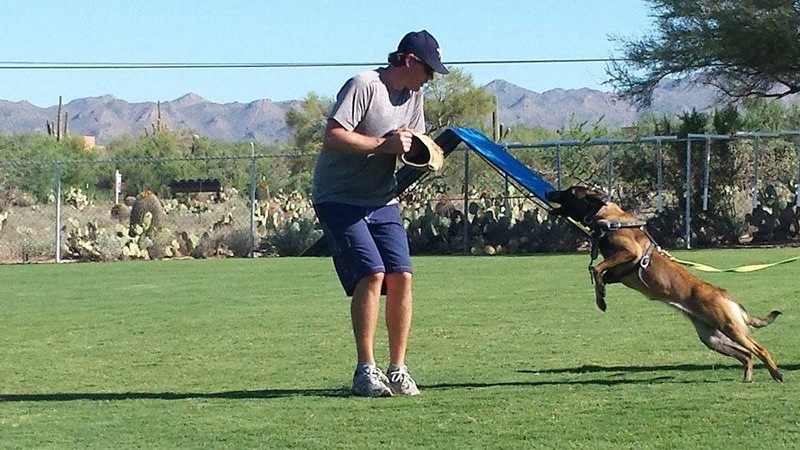 We have spent a lifetime in developing the art and craft of successfully selecting, raising, and training working dogs. Our knowledge of historically important producers within the Belgian Malinois breed both hands on and via pedigree and our contacts throughout the US and abroad, as well as a thorough understanding of training working dogs has allowed us the ability to bring to fellow sport enthusiasts, and law enforcement, the dog they seek. Tami is a founding member of the American Working Malinois Association (founded 2000), has held numerous board positions including representing the national working Malinois Club at the American Working Dog Federation, and was instrumental in the successful recognition of the Malinois club into the World Federation (FMBB). Several of our dogs that we have raised, trained, and/or located have gone on to work for law enforcement agencies in Washington, Oregon, Indiana, Illinois, Texas, as well as the Department of Defense. Our experience in both the civilian side of dog training as a professional trainer for over 20 years, coupled with hands on experience in law enforcement, and an obsession with the Malinois breed for most of our working dog career make us the ideal candidates to locate and provide the correct dog for the job, whether it be a dog working single purpose in a small department, a sport/competition dog, estate security dog, or the dog working in the fields locating explosives overseas. We are a registered vendor for a highly progressive detection program supplying dogs for use overseas and domestically. We will provide a solid work and health guarantee for all prospects, custom located to your needs, with the best in progressive training techniques. Dealing only in small quantities of exceptional quality. The goal is to under promise and over deliver.